This weekend saw temperatures soaring into the mid-twenties in Blackpool, providing a great opportunity to make the most of the open-toppers. 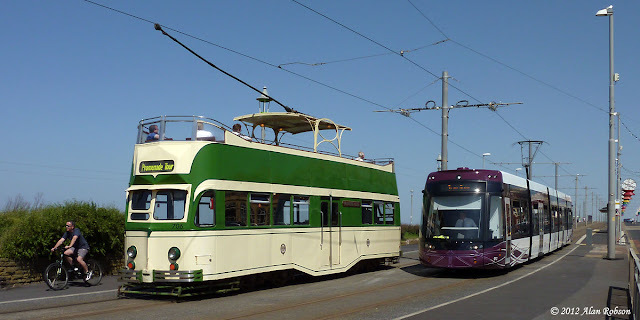 It's a great pity therefore that the Disability Discrimination Act of 1995 seems to be being used an excuse to prevent these trams from being used in normal service, and potential passengers are continuing to be turned away at stops, which is a waste of much needed potential revenue. 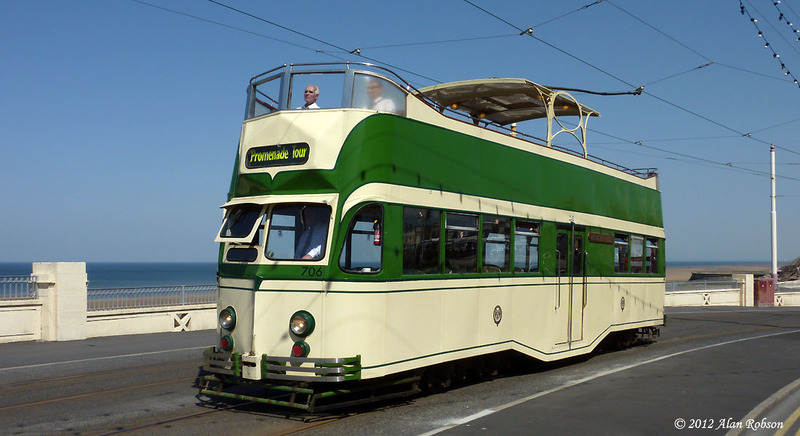 The open-top trams used to be a real crowd puller on hot weekends such as this, but because the disability access legislation appears to be being invoked seven years early (the act only comes into force in 2019), these good times are now just a thing of the past for the general public, who would simply just like to be able to use the trams as a means of getting around from A to B.
Blackpool's newest tram, Flexity 014, returned to service on Saturday after being hit by a woman motorist at Rossall Square last Tuesday. The car driver chose to ignore the red traffic lights and collided with 014 on the crossing. 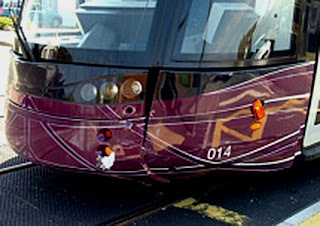 Replacement end and side panels from another tram appear to have been used, note the mis-aligned vinyls on the photo taken at Gynn Square below, also note that at the repaired end the fleet number reads "0" instead of "014", this is due to the panel coming off another tram. 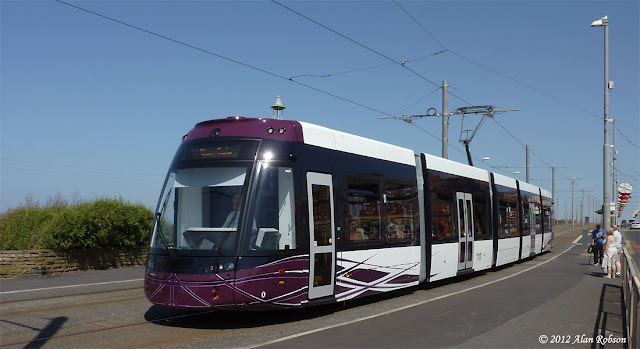 The two newest Flexity 2 trams to be delivered, 013 and 014, have both now been commisioned and entered passenger service, after having had their vinyls and fleet numbers applied. 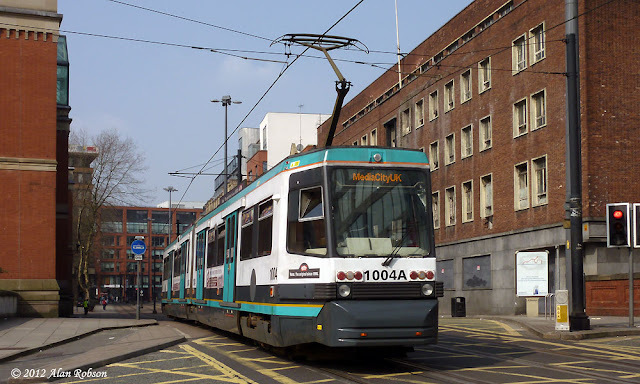 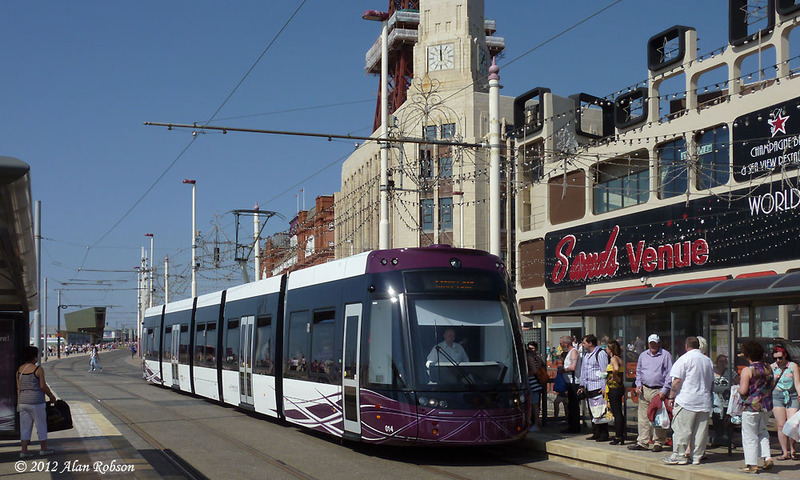 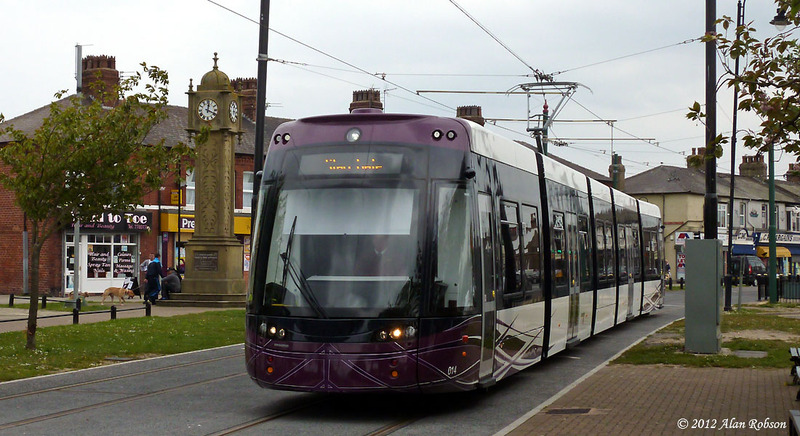 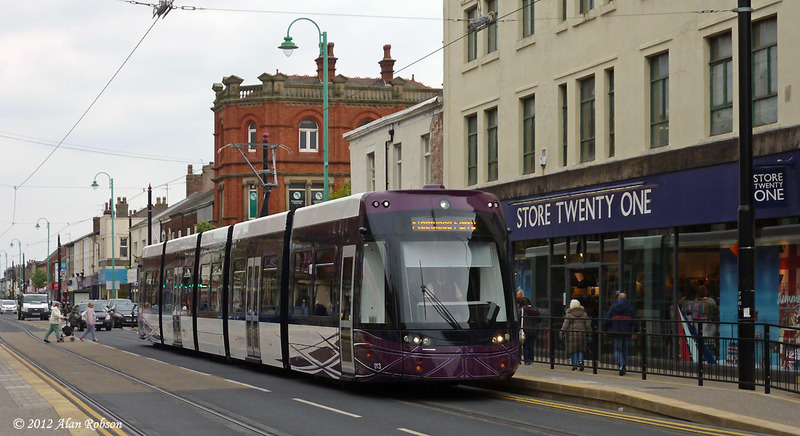 Following withdrawal of the first Ansaldo Firema T-68 last month (1011), Metrolink has now withdrawn tram 1004, as part of the process to reduce the number of older vehicles in service. 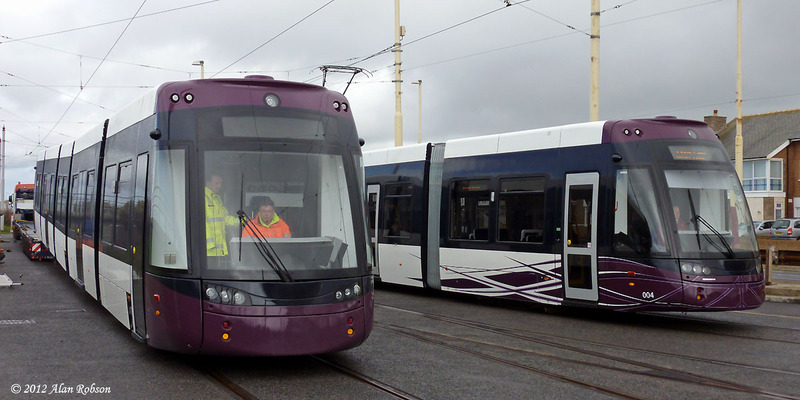 Flexity 002 departed Starr Gate at 0900 this morning for its journey back to Bombardier in Germany. The reason for the return of 002 is not known, although it is rumoured that it may be due to damage caused when the Bombardier factory at Bautzen was flooded, which caused millions of Euros of damage. 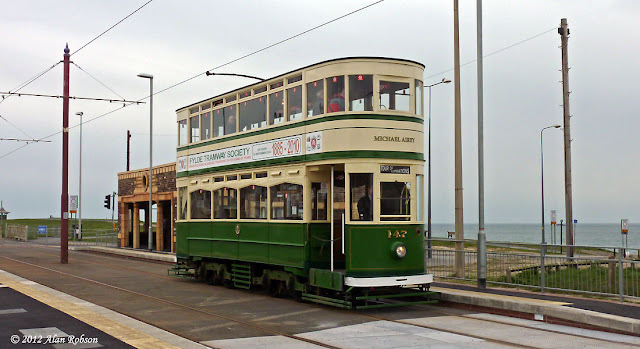 The transporter had to reverse from its loading position on the promenade, back through the platforms at Starr Gate and across the traffic lights into Clifton Drive, before turning right into Squires Gate Lane to begin its journey across the Pennines to the docks at Hull. 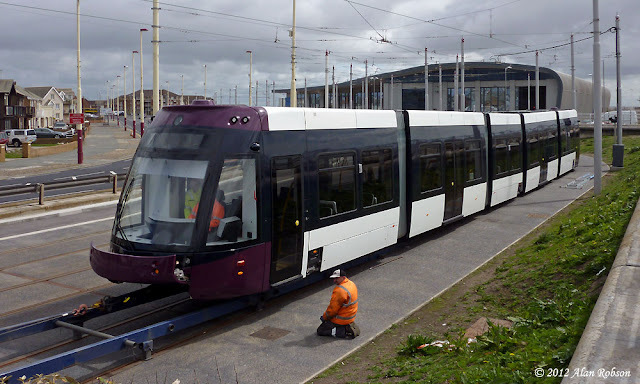 Flexity 002 is being returned to the Bombardier factory at Bautzen in Germany for attention to unspecified problems. 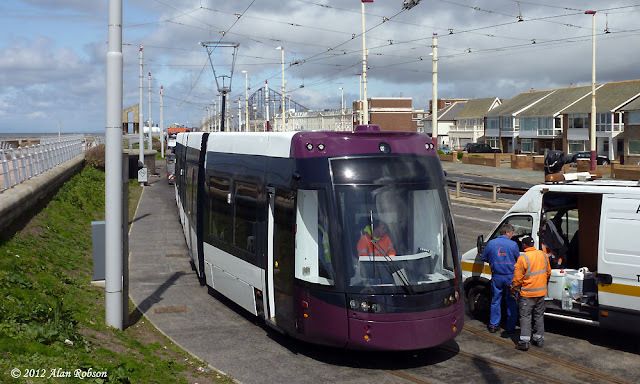 Shortly after newly delivered Flexity 014 was unloaded at lunch time, 002 was driven from the depot yard to the foot of the transporter's rail ramp in readiness for loading. 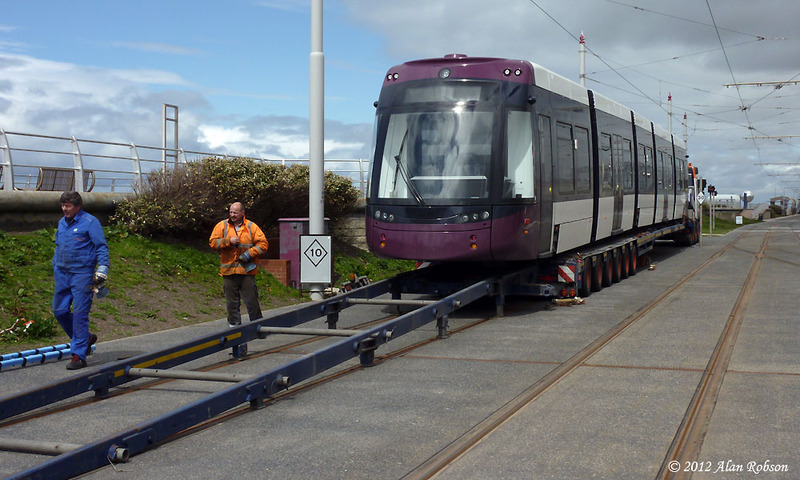 Flexity 002 was winched onto the transporter and tied down, ready for an early morning departure the next day. 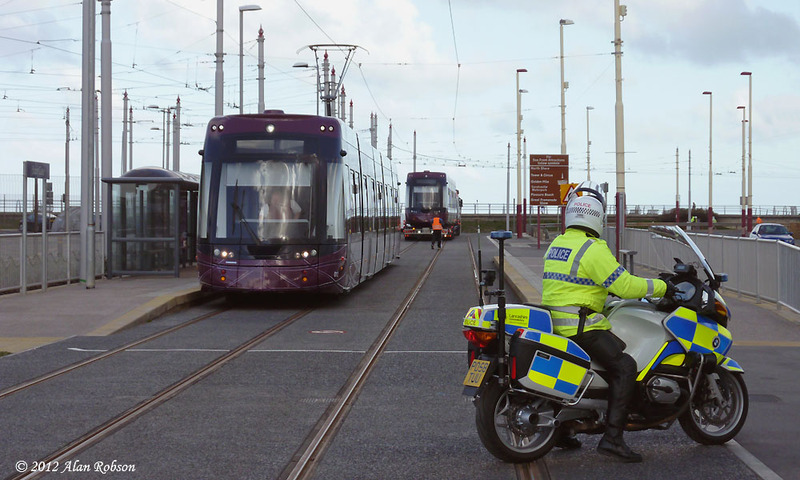 002 has been used for several months as a driver trainer, with the occasional foray into passsenger service, so it's unsure as to what problem could be so serious to warrant transporting the tram all the way back to Germany. 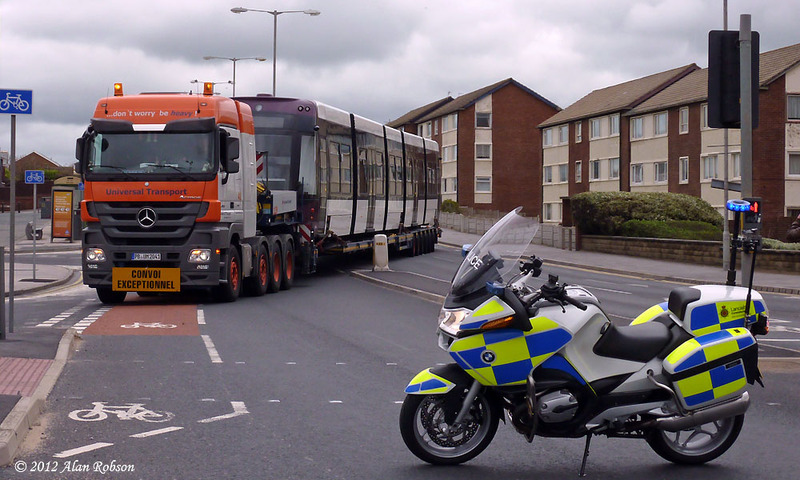 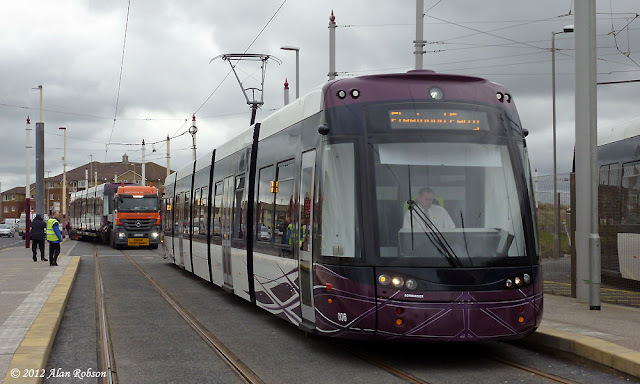 Flexity 014 arrived in the UK via Hull docks on the morning of Thursday 10th May, but was only allowed to travel across the M62 through Yorkshire after the evening rush hour, similarly to 013 two weeks earlier. 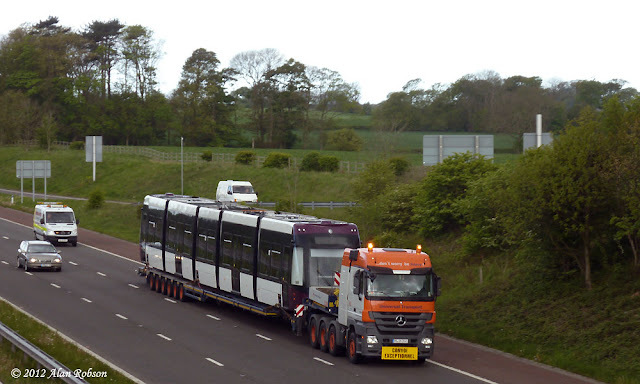 014 spent the night at Rivington Services on the M61 near Bolton, then after the morning rush hour had cleared continued the journey to Blackpool, arriving just before noon. 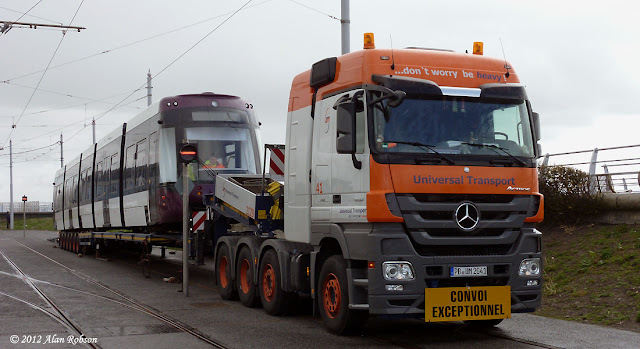 The unloading went smoothly, and an hour and twenty minutes after arriving 014 was being driven into Starr Gate depot under its own power. 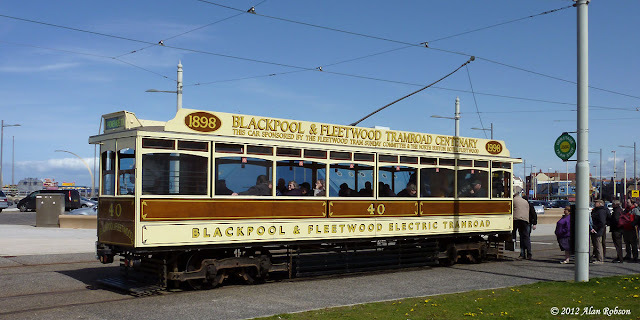 The third day of the FTS convention weekend saw light passenger loadings on the Heritage Tour, as most of the FTS members had gone on a bus trip to the Heaton Park Tramway in Manchester. Both 717 and 147 were noted carrying only five passengers each on the first workings of the day at Little Bispham. The second day of the FTS convention weekend promised to quite a special one on the Heritage Tours, with the Western Train expected to be in service all day. 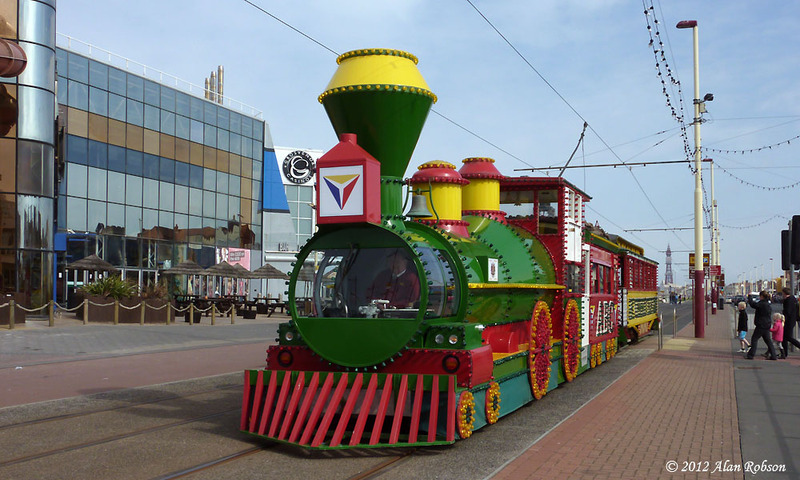 The day augured well as it was sunnier and less windy than the Saturday, so when the Western Train duly arrived at the Pleasure Beach for loading just before 10:00, everything seemed to be going to plan. Unfortunately we were informed that the compressor wasn't working, and that the track brakes were being used instead of the air brakes. 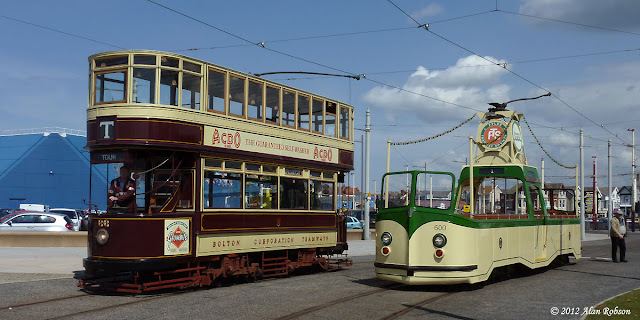 After loading up we set off northbound, but at North Pier we were sidelined into the loop so that fitters from Rigby Road depot could have a look at our faulty compressor. 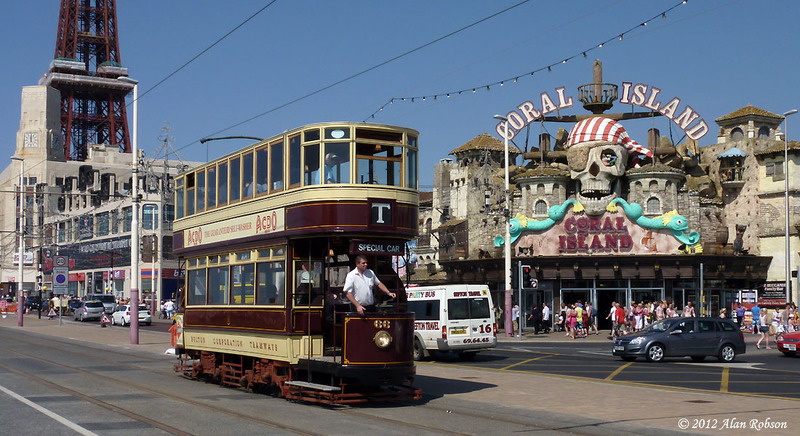 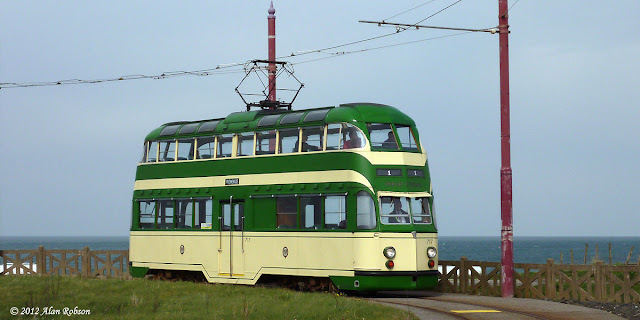 The tram was deemed to be unservicable, so all passengers had to disembark and board passing Standard 147 which was the other tram operating the tours. 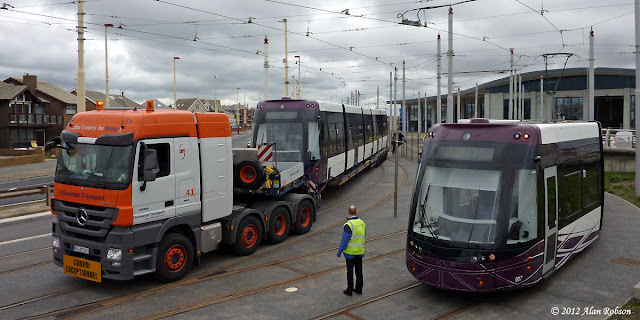 The Western Train was towed back to the depot by the Unimog and replaced in service by Bolton 66. 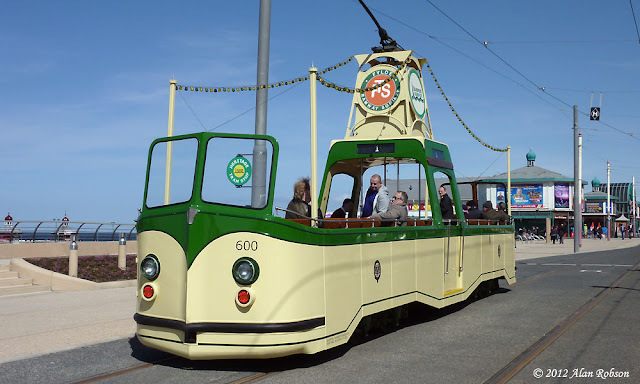 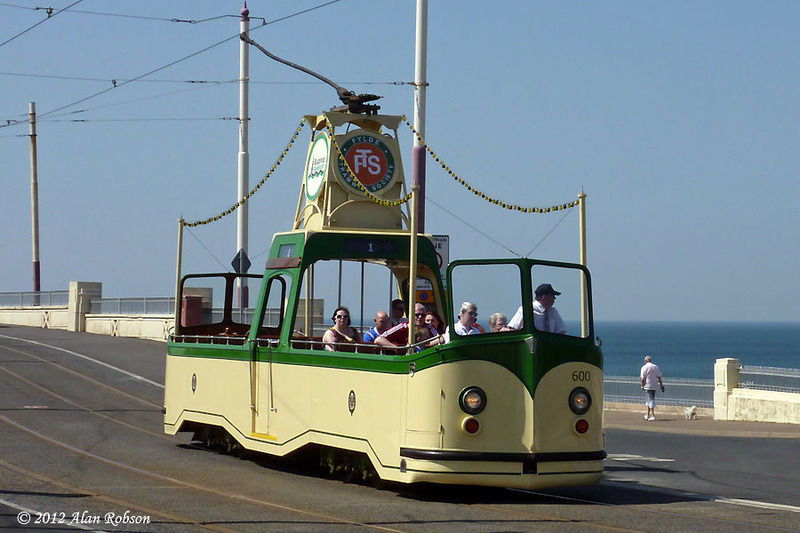 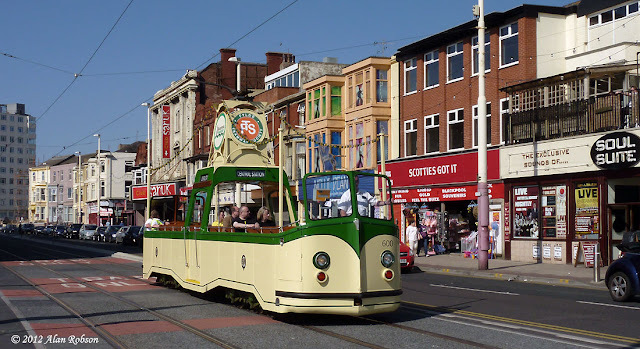 After the lunchtime crew breaks at the Pleasure Beach, Bolton 66 was replaced by Boat 600, and 706 'Princess Alice' took over from Standard 147, the weather being ideally suited for the open-top cars. 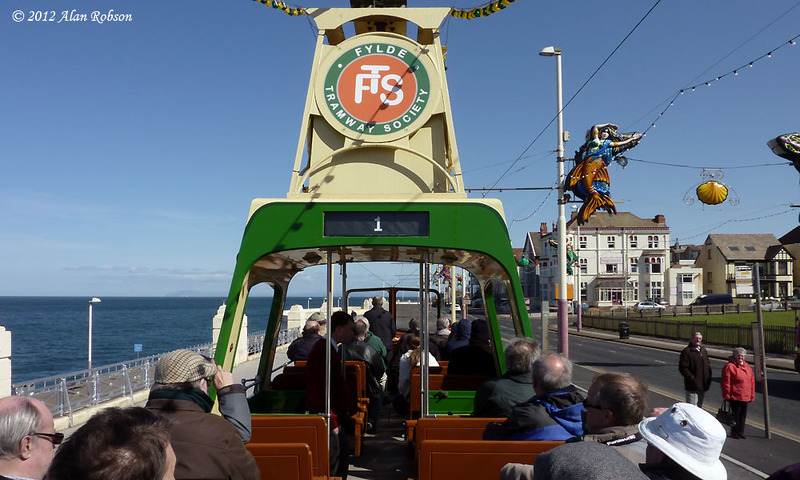 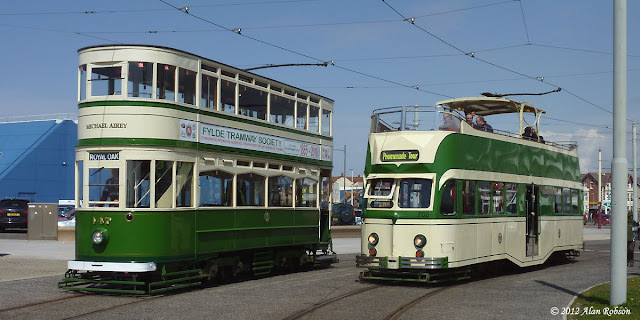 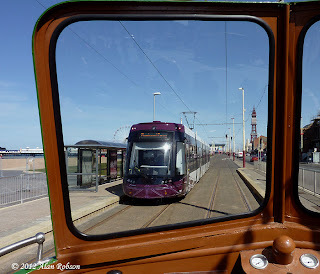 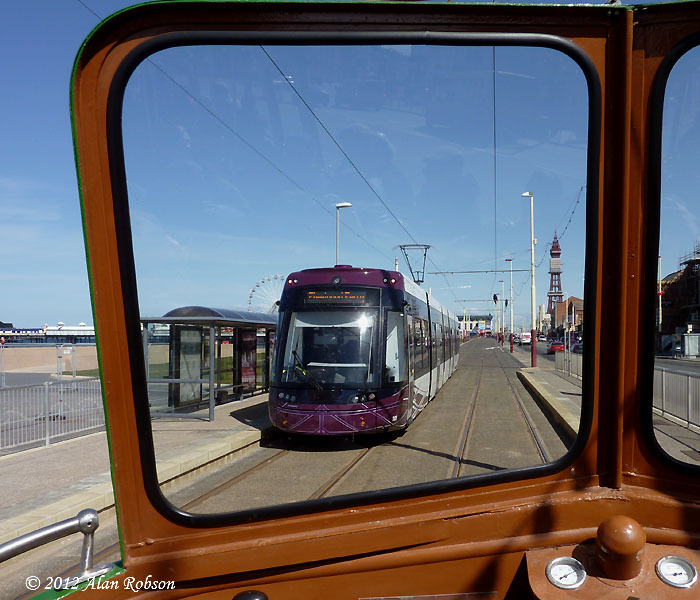 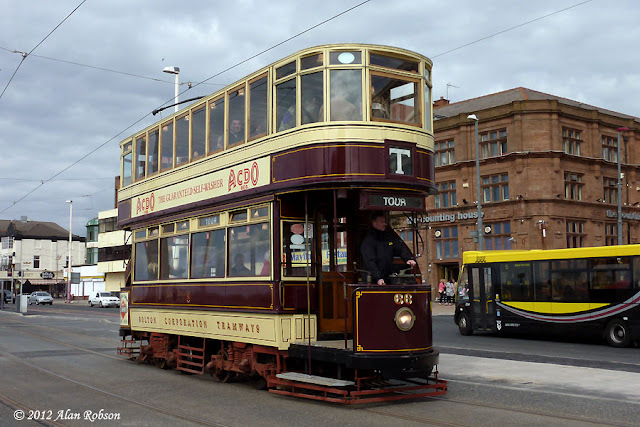 The Fylde Tramway Society convention weekend normally includes a few tram tours, but this year Blackpool Transport were unable to accommodate any private hires due to lack of staff, however they had kindly arranged to operate an interesting variety of trams on the Heritage Tram service over the weekend, and a preferential ticket price was available to FTS members who booked their tickets in advance. Saturday saw Boat 600 and Box 40 in use in the morning, with Bolton 66 replacing Box 40 in the afternoon, to provide a bit of variety. 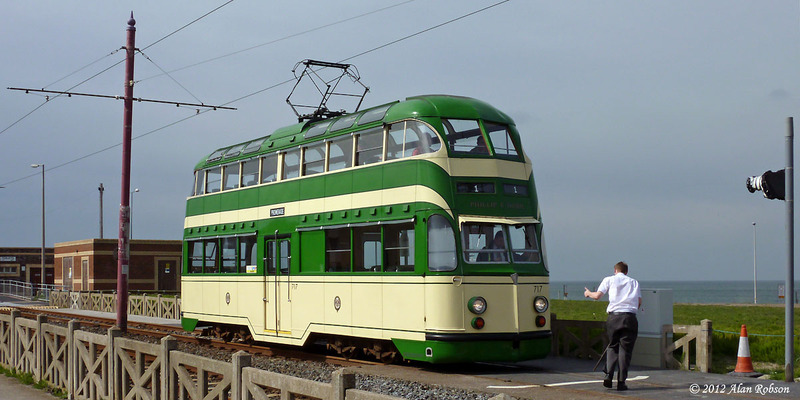 600 was making its debut outing in passenger service this year.